Warm up this winter with a hearty Sunday Roast. The Sunday roast tradition is all about sitting down to a big meal of veggies, gravy and roast meat with your family or friends to reconnect after a long week. And wine. Sunday Roasts are always better with wine! 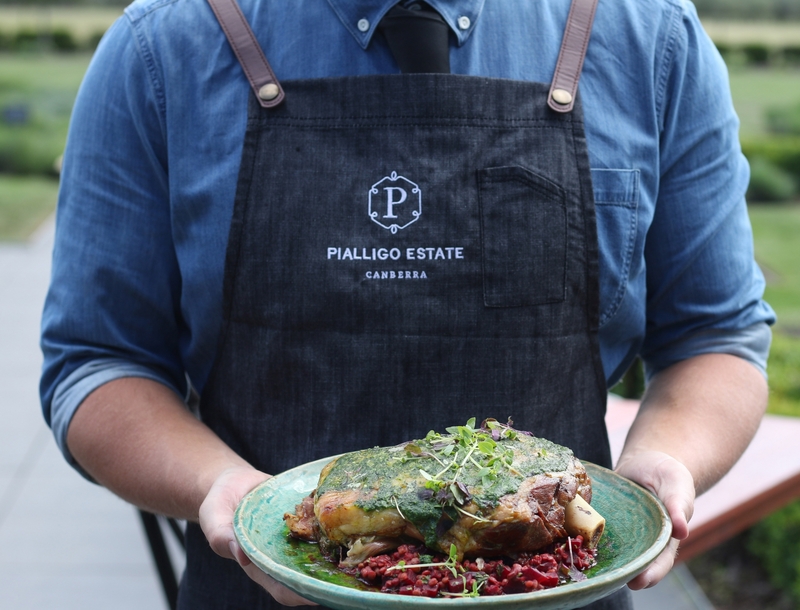 Join us at Pialligo Estate to enjoy the best Roast you have ever experienced. With vegetables from our very own Market Gardens and meats from our Pialligo Estate Smokehouse – you will not be disappointed. A ticket to our Sunday Roast will gain you entry into our beautiful Glasshouse where you will find your place on our long, shared tables using the seating plan provided. The three-course lunch will dazzle you with shared plates of our spectacular seasonal produce with the hero of the day – the roast. Purchase drinks from our fantastic bar and enjoy the view over Canberra while you connect with your guests. Adults | Adults enjoy a 3-course lunch on shared platters for $65 per person. Children | Children will receive a 2-course lunch for $30 per person. Location | Pialligo Estate Glasshouse. Seating | When you book, please enter the name of your group (eg- The Smith Family) and we will ensure that you are sitting with your group. You can always contact us on 02 6247 6060 at any time in the lead up to the day to confirm all of your group are on the seating plan next to each other. Please Note| No refunds are available after purchase.